Warren Buffett doesn’t see a shift in market direction, despite the stunning victory of Donald Trump in the U.S. presidential election. And this prediction from the world’s most successful income investor came after he sharply criticized the Republican candidate for his economic policies. Stock markets globally welcomed Trump’s victory, negating many predictions by analysts who thought the market would crash due to Trump’s economic agenda stifling growth. Trump’s election victory also triggered a record sell-off in global bonds, as traders feared inflation will pick up and interest rates will rise. The President-Elect has pledged to cut taxes, spend more than $500.0 billion on infrastructure, and restrict imports. But since Trump’s victory, U.S. benchmark indices have touch new record highs on speculation that his term will boost economic growth, as Trump plans to increase infrastructure spending and cut taxes. For Warren Buffett, Trump’s protectionist trade policies still pose a threat for U.S. growth, as the “Oracle of Omaha”r predicts both China and Mexico may retaliate if Trump pursues his trade agenda. 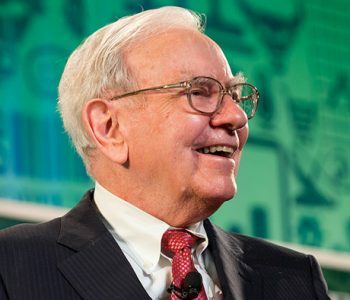 Despite this warning, Buffett doesn’t see these policies “would cause a recession” in the U.S.
During his election campaign, Trump promised to do away with trade deals, such as the North American Free Trade Agreement (NAFTA), which he said caused U.S. factories to relocate to foreign lands, depriving U.S. workers of job opportunities. But according to Buffett, a repealing of these agreements won’t be easy, despite Trump’s election win. Buffet strongly supported democratic candidate Hillary Clinton during this election and criticized Trump’s decision not to release his tax records to the public. He was also critical of Trump’s business record, as the President-Elect has declared some bankruptcies.